Hello friends! Today I wanted to share some of the assembled die cuts from the CottageCutz Baby Release. I want to show you how small changes can sometimes make big differences. 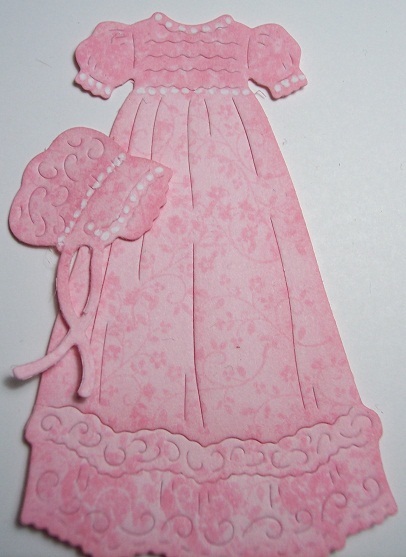 First I have several Christening Gowns cut out in various colors. 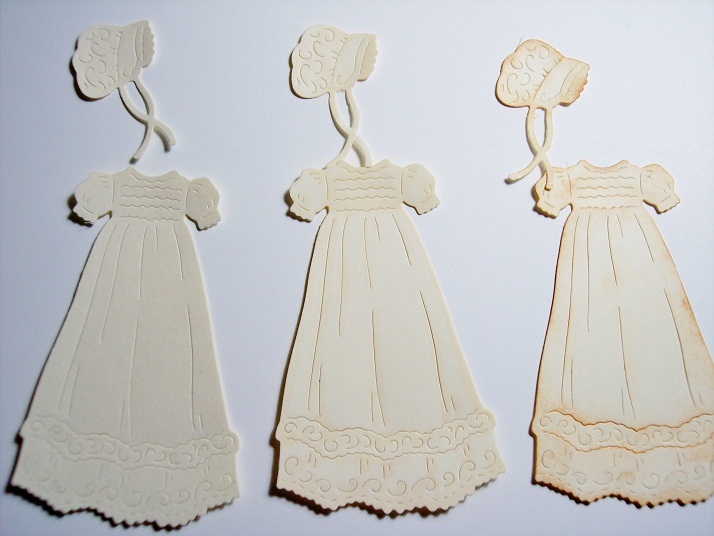 These 3 gowns were cut from off white cardstock. The one on the far left is just the diecut. 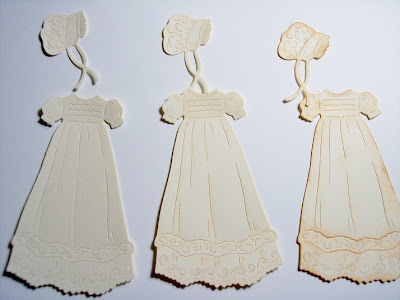 The middle gown was distressed with YR0000, pale chiffon copic. 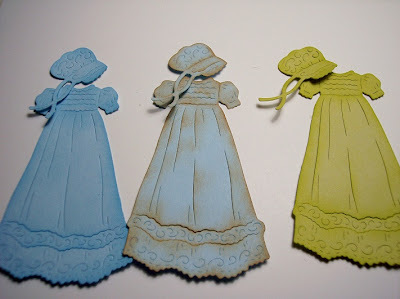 The 3rd gown was distressed with Tim Holtz Tea Dye distress ink. Next we have 2 blue gowns cut from the same cardstock. One was distressed with Memento Summer Sky ink, the other with Tim Holtz tea dye distress ink. This gives a very different look to 2 gowns cut from the same color. The green gown was distressed with Memento Pear Tart ink. 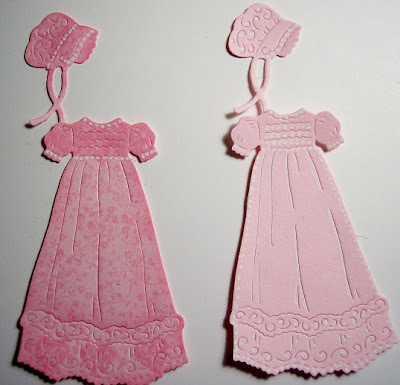 The pink dress on the left was stamped with some small vines and a heart using Memento Angel Pink. That is my favorite from this selection. It looks much nicer in person. The second pink card was highlighted with a white gel pen. 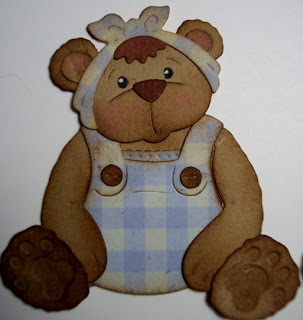 Finally I have 3 bears cut with the CottageCutz Romper Bear to show you. 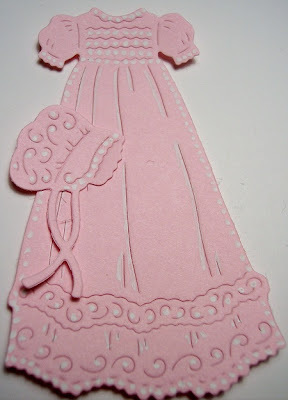 2 were cut from Kraft cardstock, the other was cut from plaid patterned paper. 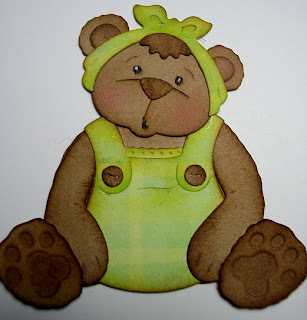 Different outfits on each bear and all 3 bears were distressed with the tea dye ink. I hope I have inspired you to try different ways for using your dies. I will be back in 10 days to share some finished cards from this baby release. As always, thanks so much for visiting! Enjoy your day! Positively joyful in every way! What a terrific variety to showcase these darling dies for the babies! Super creative, wonderfully crafted! Thank you so much Janice! Love the projects with the dies too, but this sharing is so much more informative. 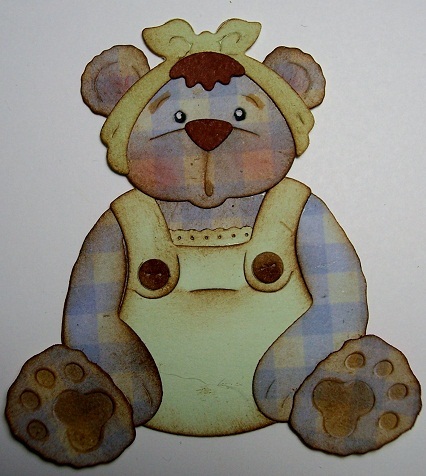 Janie that sweet bear will melt my heart every time. I love what you did with it-and showcasing the different way to do the gown is brilliant. Oh my this little guy is adorable! Awesome examples, Janice! You have shown so many wonderful ways to use these dies! VERY informative and inspirational! !